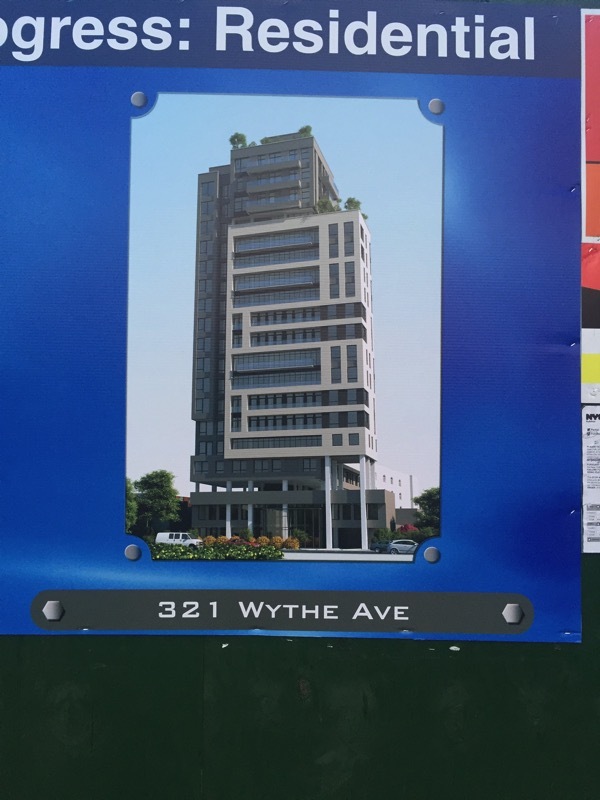 Renderings are up for the new 19-story building to go up on the former site of Ss. Peter & Paul Roman Catholic Church, on Wythe Avenue between South 2nd and South 3rd Streets. The site was the original home of the church, constructed in 1847 and the first church building designed by prolific Catholic church architect Patrick Keely. (The Keely church was remodeled in 1902 and demolished in the late 1950s or early 1960s – full details on the old churches are available at Novelty Theater.) The replacement church, on South 2nd Street, was demolished last month. The new building is certainly nothing very exciting, architecturally. The property will continue to be owned by the church, and according to YIMBY, will have 130 units of market-rate housing. Ironically, given the parish’s strong advocacy for affordable housing at developments like Domino over the years, not a single unit of affordable housing. And no word on whether there will be an actual church here – if not, that too would be ironic, since this was the first Catholic parish in Williamsburg(h) – 1837 – and the third in all of Brooklyn.